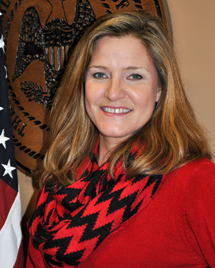 Pam Miller is a Criminal Investigator with the Fourth Judicial District. She is a Graduate of Delta State University with a degree in Criminal Justice. In 1989 Graduated from MLEOTA in Pearl, MS. Pam Miller has over 27 years of Law Enforcement experience. She has worked in many areas of Criminal Justice from Patrol Officer, Major Crime Scene Commander, Latent Fingerprint Examiner, to Criminal Investigator. Pam currently works in the Washington County Office as a Criminal Investigator. Juan Overton is a native of Chicago Illinois. He later moved to Mississippi with his family. Juan is a graduate of Norma C. O’Bannon High School. Upon graduation, he joined the United States Navy where he served for many years including serving in Greece, Italy, Israel, and France just to name a few. While serving in the United States Navy, he had the honor of being apart of Operation Restore Hope in Somalia. Juan began a career in law enforcement in 1996 with the Town of Metcalfe, MS. Since he began his career in law enforcement, he’s worked for several agencies in Washington County to include Leland Police Department, Greenville Police Department, and Washington County Sheriff’s Department under the leadership of Sheriff Milton Gaston. Juan is a member of Christian Light MB Church and is a member of Elks Lodge #567. He serves as a Criminal Investigator within the District Attorney’s Office. James A. Payne is a Criminal Investigator for the Fourth Circuit Court District Attorney’s Office in Greenwood, Leflore County, Mississippi. 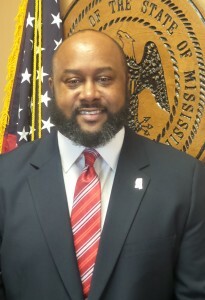 Investigator Payne was born and raised in the MS Delta and has an extensive history of law enforcement experience, as well as an in-depth knowledge of investigatory protocol and techniques. Payne began working in Law Enforcement in 1991 with the Greenwood Police Department until 2000. He then began working at Mississippi Valley State University and was employed as an officer with the MVSU Police Department from 2000-2001. Payne then went on to become a Deputy Sheriff for the Leflore County Sheriff’s Department in Greenwood, MS, where he served as a Deputy Sheriff from 2001-2006. Payne’s knowledge, his investigatory experience, as well as his ability to advise other law enforcement officers led him to the Fourth Circuit District Attorney’s Office in January 2006, where he continues to work as a Criminal Investigator in the Leflore County Office. Lewis Slay has served as Criminal Investigator for the Fourth Circuit Court District since 2005. 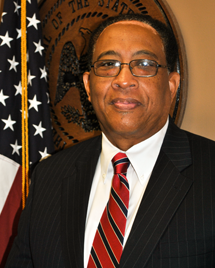 Slay is an alumnus of the University of Southern Mississippi where in 1974 he received his Bachelor of Arts Degree in History and Political Science. 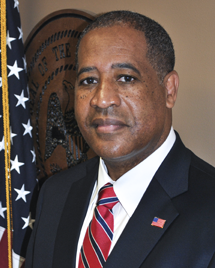 Lewis Slay went on to further his studies at the University of Southern Mississippi where he also received a Master of Science Degree in Criminal Justice Administration in 1976. Slay is a native of Hattiesburg, MS. He has made the Mississippi Delta his home since 1977 when he moved here to join the United States Probation Service for the Northern District of Mississippi. Lewis Slay retired from the U.S. Probation Department in 2004 after holding the position of Staff Supervisor. During his entire career, Lewis Slay has been dedicated to the advancement and training of future law enforcement professionals. He has taught and continues to teach at various universities within the area. Lewis Slay is married to Dinah Slay and together they have 4 daughters and two grandchildren.